The blogosphere is an interesting place. In my 3 years of blogging, I’ve learned so much from the gals around me and the industry at large. Lessons about running a business, building a brand, connecting with your audience. 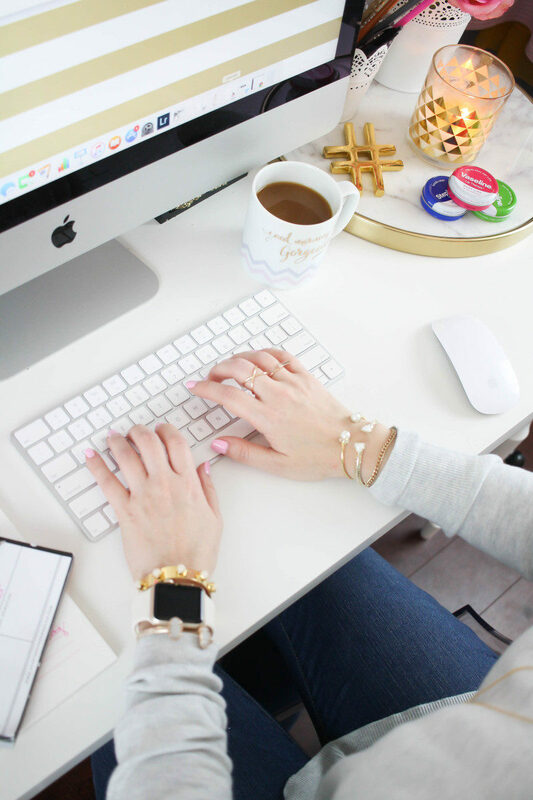 Originally, I had no idea about how important things like business email hosting was for the running of my blog, but I have learned so much and I’ve still got so much to learn. 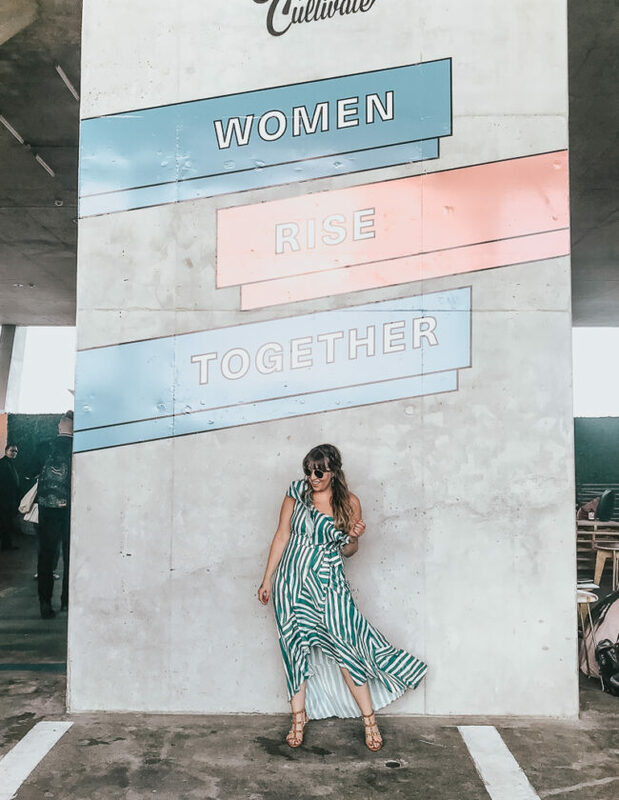 My blogging mission has definitely evolved as I’ve gotten more and more experience and as I’ve navigated the waters of this fairly new industry. I’ve made amazing friends who inspire me to work harder and reach higher. I’ve also learned a few lessons along the way. Today, I thought I’d kind of take a step back from my normal content and share something that’s been on my mind and heart for awhile. So, I’ve put together a list of my 5 big blogging DON’Ts. If you’re a blogger… this one’s for you. Don’t build your business on a platform you don’t control. Instagram is a big deal. Brands want to see you have a strong following and it’s a great revenue stream. It’s definitely important to build up your Instagram following. But don’t do it at the expense of growing your blog. Instagram should absolutely not be your top priority. What happens when it goes away, which it inevitably will?? Every time the algorithm changes, every time Instagram institutes a new policy, I see all of my blogger friends FREAK. I know a lot of people who like having something like a web hosting service like www.hostiserver.com, because they like the fact that they can control their website and have access to people who can help when they need it. Focus on your brand and on your own platform. Find ways to make your blog a destination that your readers WANT to come to. Your main focus should be your blog or your business. Instagram or any other social media platform is a tool that you can use to grow your audience and be able to interact with them, but shouldn’t be your sole purpose. With this being said, it is important to have this platform. There are so many specialists and companies out there that can help you out if this isn’t you strong point. Whether you look into something like PR agencies Philippines, France or even Los Angeles, you’ll be able to find the right people to give you a helping hand in monitoring your social media platforms. Social media can be a powerful tool for many businesses, so it is best to use it to your advantage. Of course, have a social media strategy and figure out how to make it as profitable as possible. Just don’t make it the most important part of your content strategy. Just remember what happened to Vine. One day, that will be Instagram and then where will you be? You shouldn’t be working for free. This is a tough one. The first time a brand reached out to me offering product in exchange for a post, I was psyched. It was the first time I really felt like a blogger, like I had made it. The thing is, a free dress doesn’t pay the bills. Ultimately, if you’re serious about blogging, this is a business. This is our job. If a brand reaches out and wants to work together? Awesome. Just remember your worth. Remember that posting on your blog isn’t free. You have to pay a photographer, you have to pay for your domain and hosting, and lest we forget that you HAVE TO PAY TAXES ON GIFTED ITEMS. Ohhhh yes. You have to count these “gifts” as income and pay taxes on them. While you shouldn’t sell your soul and take any paid opportunity that comes your way, you should be finding creative, natural ways to monetize your relationships with the brands you already love. You should only accept $$ to feature products you would use WITHOUT being paid. When you begin to monetize your brand relationships and accept money for sponsored posts, it should feel like a natural and authentic relationship to your reader. It’s just not okay to ask other bloggers: how much money they make/how many pageviews they get/for a contact. This is never ok. Do you ask your random friends how much money they make?? NO. It’s rude! For some reason, the blogosphere doesn’t really grasp this. I can’t tell you how many people I’ve heard ask other bloggers these deeply personal questions about their businesses. It’s just awkward and uncomfortable. I get it, this is a new industry and there is a lot to learn. The most important thing is just to stay in your own lane, focus on your own platforms, and work hard. Comparison will get you nowhere. At the end of the day, everyone’s business is different. Everyone’s readers are different. Everyone’s brand is different. While there are certainly some universal truths that pertain to the blogging world, what ultimately works for you may not be the same as what works for someone else. Take the time to delve into your own analytics and really look at what’s working for you, who your reader is, and what they want from your content. Asking for contacts. PET PEEVE. It is just not okay to ask someone for their contact. Our professional networks take time and energy to build. It is beyond unprofessional to dole out someone’s personal contact information to another person without their consent. Think about it… would you want someone handing out YOUR contact info to a bunch of strangers?? NO! Have the professional courtesy for your contact to keep their information confidential. Not to mention the fact that it reflects poorly on YOU. Why would you want to damage your professional relationship? I think what bothers me most about people asking for contacts so much is that underneath it all, it’s just laziness. Most contacts are super easy to find if you take the time and look for them. Put in the work. So many girls expect the world to be handed to them on a silver platter. So many girls want to be “Instagram Famous” or big bloggers, but don’t want to invest the time and energy that goes into that level of success. Success takes work. HARD WORK. All the time. There are no shortcuts. Right now, this is a big one. It seems EVERYONE is cheating on Instagram these days! Just take a peek at Social Blade. Girl. You are not gaining 1400 followers a day. We know you’re cheating. So many girls are buying followers and likes to pump up their accounts and to make themselves appear to be successful. NO ONE IS BUYING IT. And it’s doing more harm than good. Yes, maybe you can secure a big time collab with a great brand… but what happens when you can’t deliver the results they wanted? What happens when you can’t call your 20k of fake followers to action? You’re hurting the industry is what you’re doing. Brands are thinking… “oh, well what’s the point of investing in influencer marketing? Nothing happened, we didn’t see any results.” You’re messing it up for all of us who aren’t cheating. And really… what are you doing it for? Does it make you feel better? Does 100k fake followers you paid to be your followers make you feel successful and accomplished? Wouldn’t you feel better with 10k REAL followers who care about you and are invested in your content? I think the important question to answer is… what are you doing this for? WHY are you doing this? They always say it… quality over quantity. And it’s so, so true. Don’t post just to post. Take your time to post something that you’re proud of. I’m definitely guilty of this! I’ve posted just to post. I cringe sometimes looking back at things I’ve posted! Ultimately, you’re doing your followers a disservice by posting just to post. It’s like what they say… “if you build it, they will come.” Dedicate yourself to creating quality content that you’re proud of. Your followers will appreciate it. So. If you’re a blogger… what do you think? What are your biggest blogging “don’ts”? Hit the comments and let me know your thoughts!